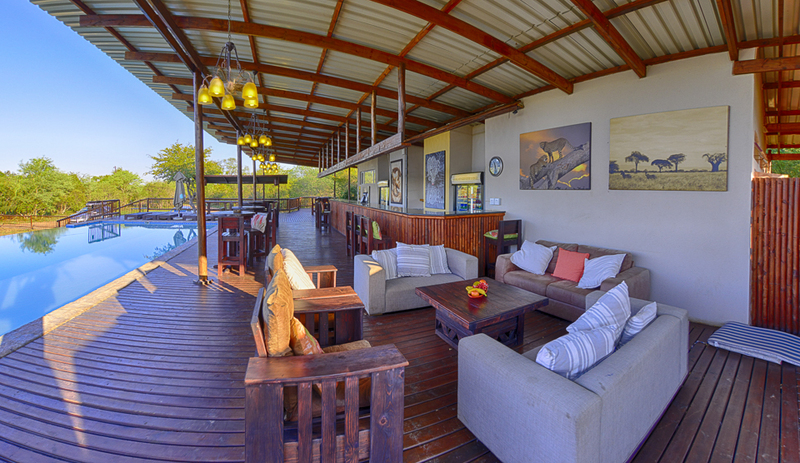 Shalati Safari Camp is situated on the Mnisi Tribal Land with the entrance right at the South gate of the Manyeleti Game Reserve in Mpumalanga. It lies between Hazyview and Hoedspruit on the R40 road. The Eastgate Airport near Hoedspruit would be the closest airport. 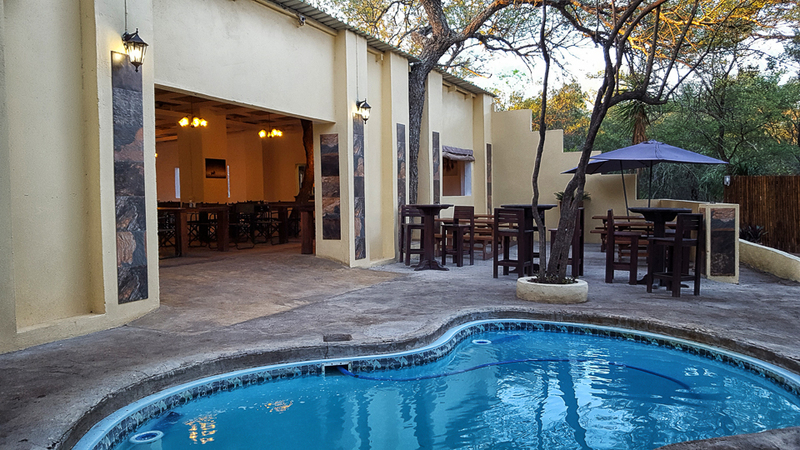 There are 4 camps to this property, the main camp houses the restaurant and dining area, a large boma and bar next to the swimming pools. 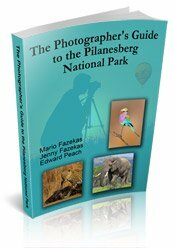 Three camps (Ingwe Tented camp, Ngala Tented camp and the Chalets) are in close proximity to the main camp but camp 4 (Shalati Kruger Lodge) is further away and more private. The large dining room, bar area and open air boma surrounds a small swimming pool. There is a tea and coffee station in the dining area, near the bar. The cash bar is just to the left of the restaurant. 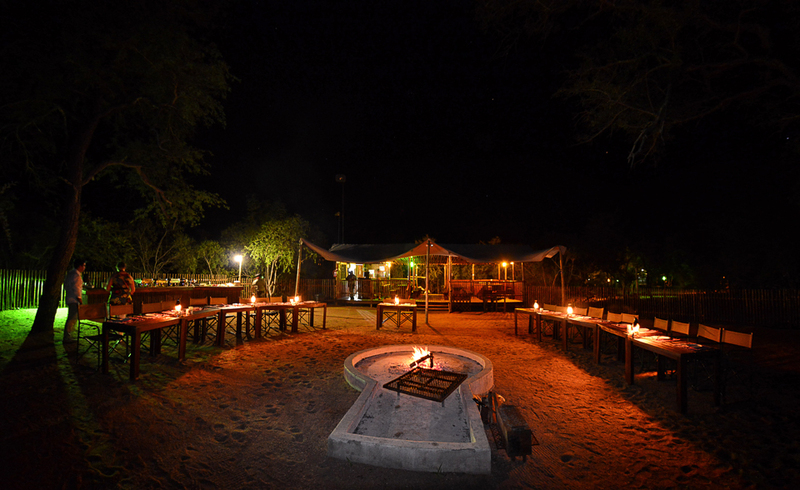 The tented camps have their own bomas where guests can eat around a camp fire, but they all have use of the main restaurant and bar. Shalati Kruger Lodge Tented camp is their luxury camp and has its own private boma where guests are catered for either in the boma or on the covered veranda overlooking the infinity pool. (The photo at the top of this page). Our first and last meals were in the large dining room and one meal in the boma. Each day we were given breakfast packs when we went into the park. All our meals were good and we had enough in our breakfast packs to last us the whole day. 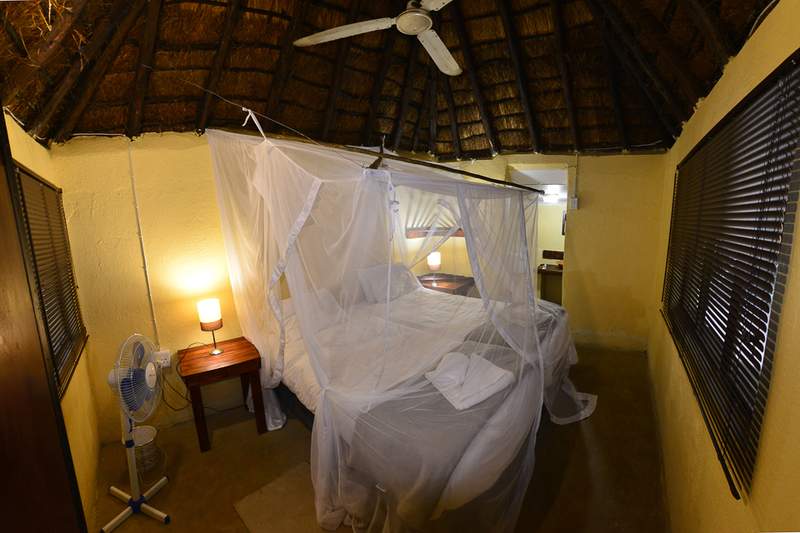 Main camp has 16 thatched chalets / huts with twin beds, en-suite bathroom - shower, toilet & basin and mosquito nets. Neat foot-lit pathways lead to each room, which is surrounded by bush. 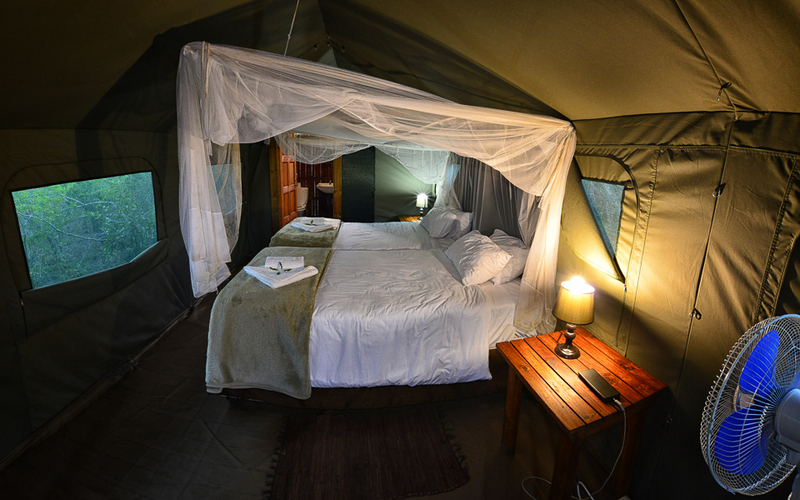 Ingwe Tented Camps have smaller tents and accommodate a maximum of 2 guests per tent (twin/double). Ngala Tented camp has bigger tents and a small deck/veranda to sit on and admire the African bush that surrounds each tent. 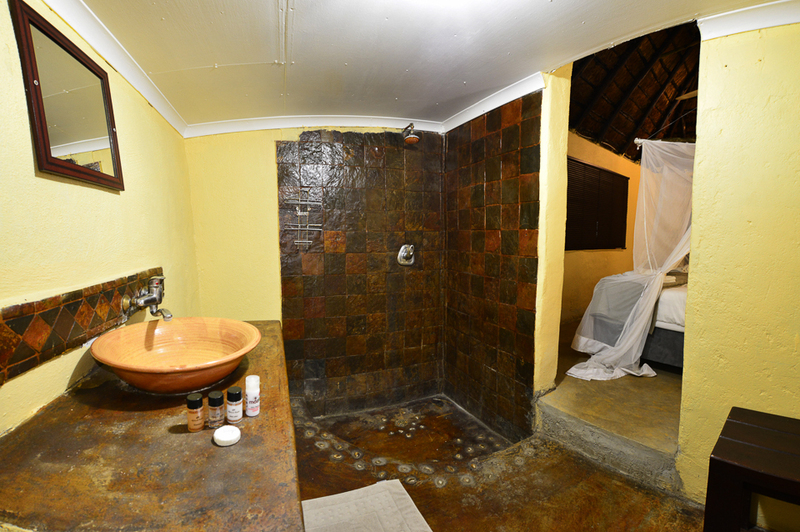 Both Ngala and Ingwe tents have en-suite bathrooms (shower, toilet & basin) and mosquito nets. 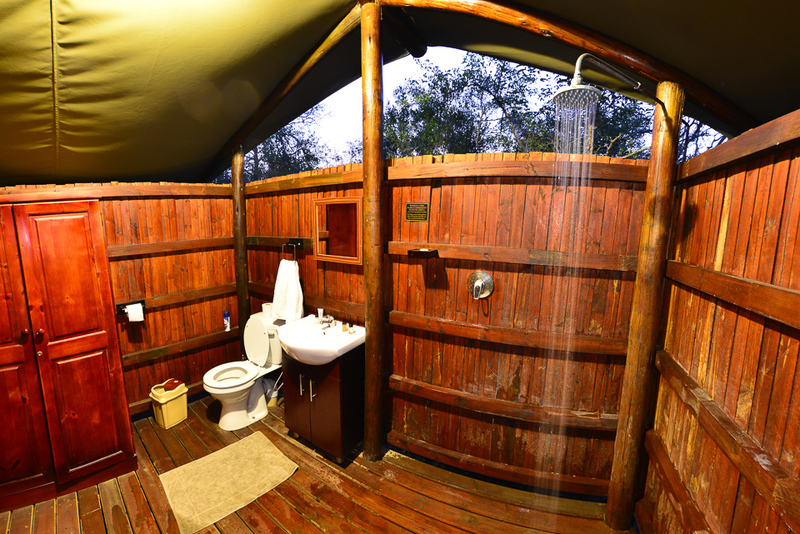 Shalati Kruger Lodge has 14 larger Luxury tents with air-cons and en-suite bathrooms, their own swimming pool and boma area. Full day or half day Guided game drives- Morning game drive in Manyeleti: Guests enter the Manyeleti Game Reserve with an experienced guide who shares his/her knowledge of the bush. 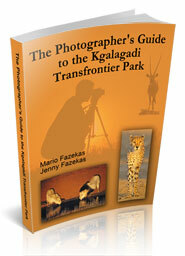 The drive departs at 06h00 from Shalati and returns to camp around 09h00. 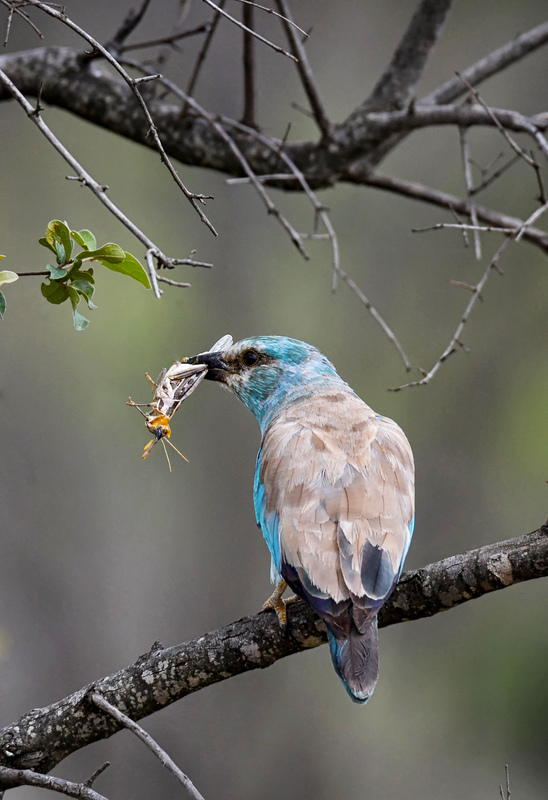 Full game drives in the Kruger: depart early morning from Shalati and travel to the Orpen Gate entrance of the Kruger National Park, stopping for breakfast at one of the Kruger’s Camps. After breakfast you continue your Game Drive in search of the big-five animals. Lunch time also offers guests a chance to stretch legs and enjoy the splendor of this magnificent place. After lunch you will slowly make your way back to Shalati camp. This can also be done as a self-drive like we did; leaving Shalati camp and entering Manyeleti taking a slow drive through to Orpen gate into the Kruger National Park. 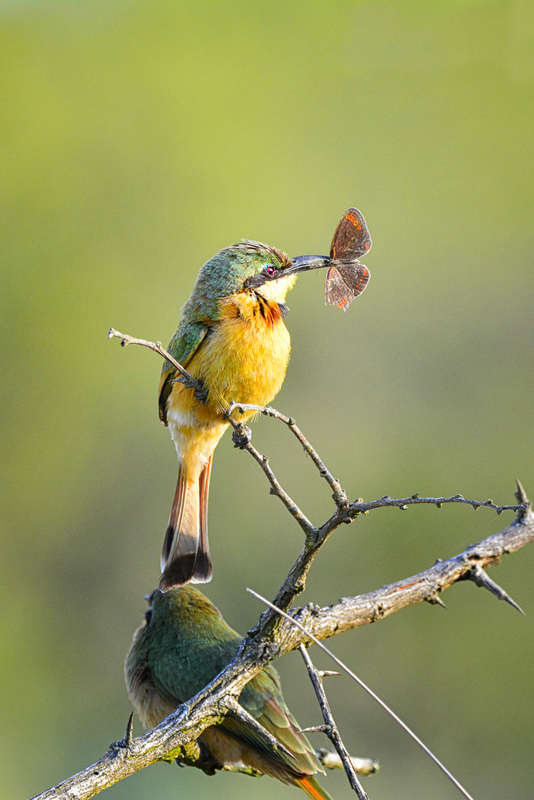 We had some great sightings both in Manyeleti and the Kruger Park. On the first two mornings we didn’t see much in Manyeleti but on day three we had a great sighting. 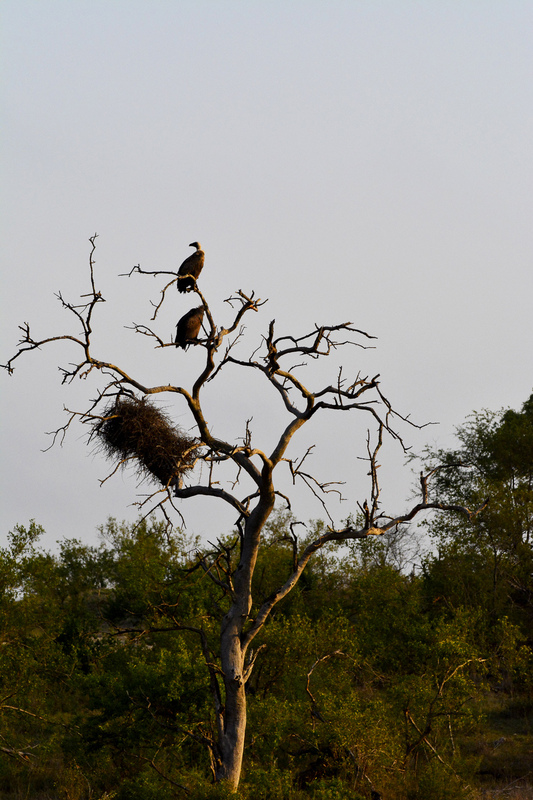 We stopped to watch two vultures in a dead Leadwood tree in early morning light. Vultures are sometimes a sign that there are predators nearby so we sat for a few minutes and then we spotted a lion walking through the bush. We started scanning and then saw the second one with a buffalo carcass! He was surrounded by hyenas who were harassing him! 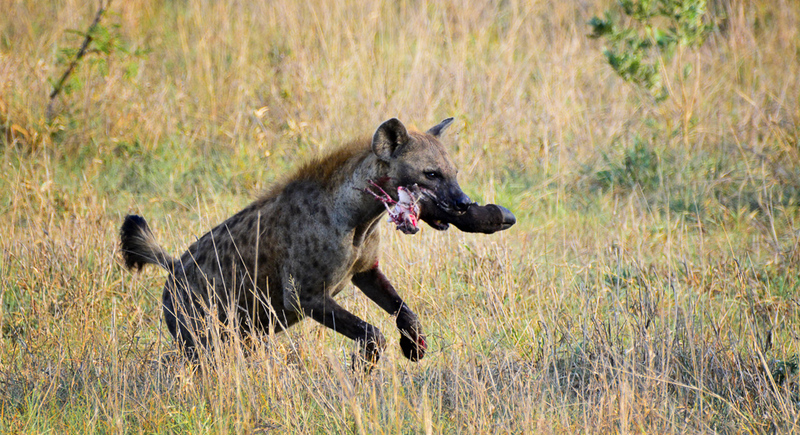 They would taunt him and when he chased after them the others would rush in to grab a piece of the carcass. 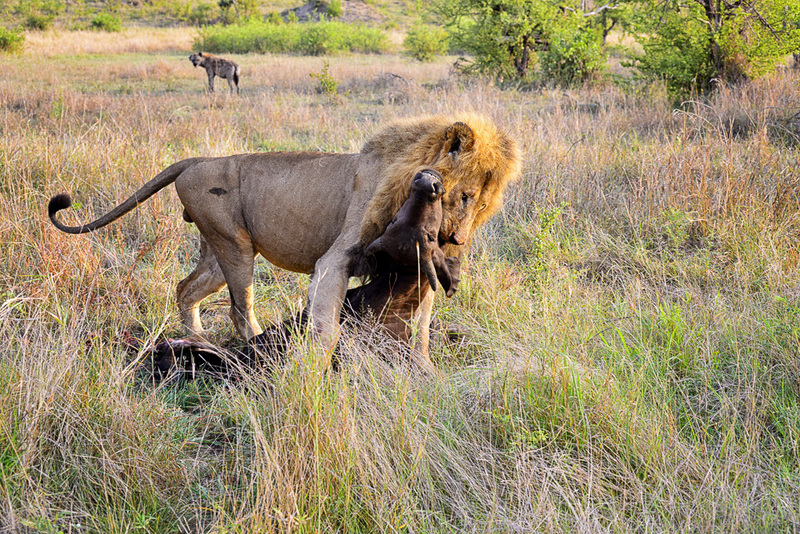 The male lion finally had enough and he dragged the carcass away and under a bush. 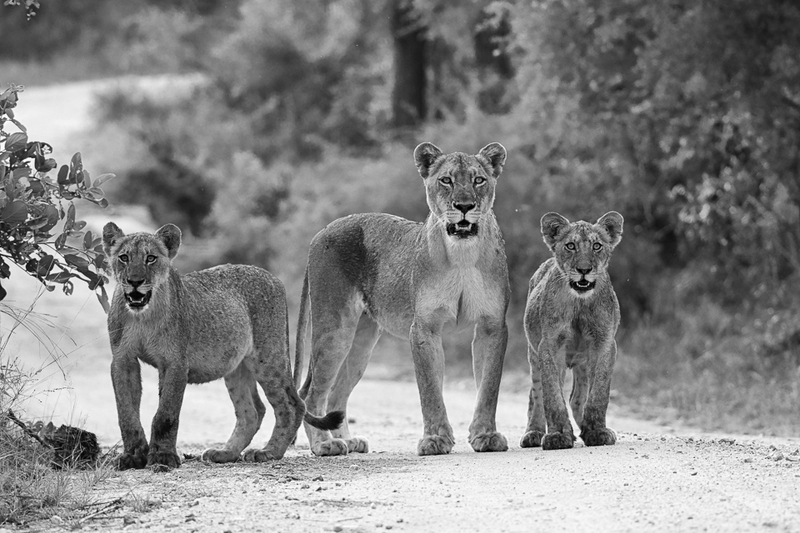 We then found a female with small cubs - I guess they were waiting their turn for breakfast? 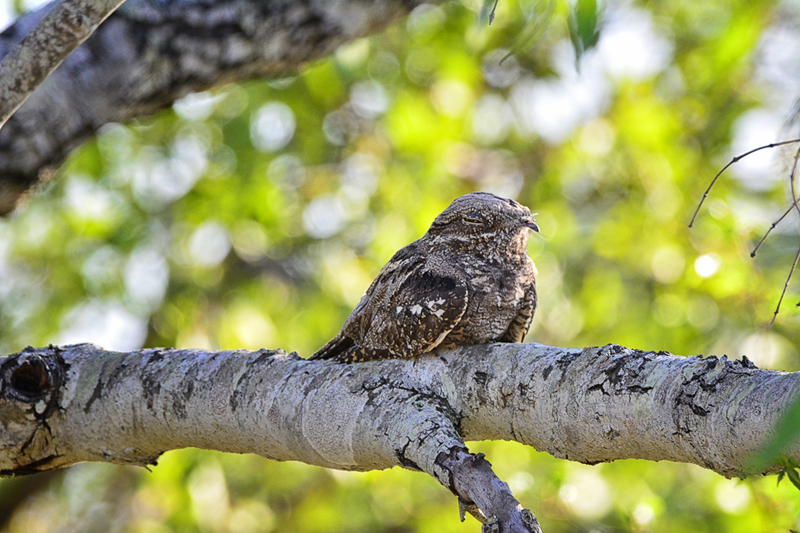 Mozambique nightjar - we usually see them when it's dark and they are normally in the road. Amazing what you can find when scanning the trees and bushes! We had the lion sighting to ourselves for about 20 minutes before two Tintswalo vehicles arrived – if this was in the Kruger Park we would most probably have been surrounded by vehicles! After about an hour we left the lions in peace and headed for Orpen Gate for our last day’s game viewing.